In a shocking turn of events that transpired in the last week of February, Cambridge Analytica’s Chief Executive, Alexander Nix, has told a House of Commons committee on Fake News that his firm did not work for the Brexit campaign, despite ample claims that it had partnered with Leave.EU, the unofficial pro-Brexit campaign co-founded by Arron Banks. This statement, however, was quickly challenged by Arron Banks himself, who tweeted that “Cambridge Analytica appeared in the submission document” that the Leave.EU campaign had filed when it was trying to become the official leave campaign – a position that was later on filled by the Vote Leave campaign, headed by Boris Johnson. The public document, that can be found here, lists Cambridge Analytica as a “strategic partner”. Furthermore, Banks also tweeted out that “Cambridge Analytica wanted a fee of £1m to start work & then said they would raise £6m in the states. We declined the offer because it was illegal”. As previously reported by Open Source Investigation here and here, Cambridge Analytica has found itself at the forefront of various political scandals during the last couple of years, with the firm being involved in well over 100 campaigns across five continents – in countries such as Russia, Lithuania, Latvia, Ukraine, Kenya, Iran, United Kingdom, the US etc. The firm, which labels itself as a “data-driven” company, has been described as a “psychological warfare firm”, with The Guardian newspaper claiming that the company employed senior ex-army officers experienced in psychological warfare operations. As for their operations in the UK – a lot of speculation has been made whether or not the firm was employed to persuade voters to vote to leave the European Union, with articles in The Observer and The Guardian newspapers talking about how Cambridge Analytica influenced the Brexit campaign and even raising concerns of using the social data farmed in the process. So, where’s the evidence then? Alexander Nix was quick to respond regarding these issues: he said that Cambridge Analytica has never been involved in any UK election, as it was formed to try to crack the United States market; the press release was “in anticipation of work with that organisation” and that no deal was signed at all, only “drafted by a slightly overzealous PR consultant”; the press conference was just a normal thing to do “when exploring a working relationship with a client” and that “it’s not unusual to speak in public together”. While most of the Committee’s questions revolved around the possible participation of Cambridge Analytica in the Brexit campaign, issues such as the use of bots and data mining also popped out. 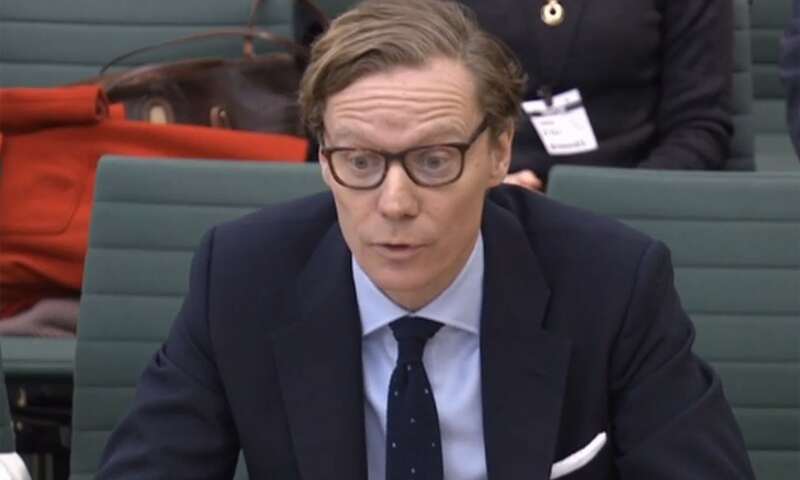 Alexander Nix denied that Cambridge Analytica was a data miner: “We use large data sets and try to find patterns in that data, and make predictions about audiences. We’re just running algorithms on that data to find meaning in it”. This statement, however, must be taken with a grain of salt. Just last year, Cambridge Analytica was involved in the Kenyan election, backing the then incumbent President, Uhuru Kenyatta. Whilst most might think that the firm was employed to act just as your regular political consultants, various concerns were issued by the British advocacy group “Privacy International”, who criticized Cambridge Analytica’s involvement with Kenyatta’s party, saying that it merits “further scrutiny” in part because of the dangers of gathering data in a country where ethnic tensions continue to rise up exponentially. To put things under perspective – Kenya’s ruling government at that time, under the leadership of President Kenyatta, had nationwide voter information access through the use of national identity cards and mandatory cell-phone registration. One must ponder where all the data ended up with. “Profiling allows anybody with access to enough personal data to learn highly intimate details about you, most of which you might have never decided to disclose in the first place. If Cambridge Analytica’s work in Kenya is just slightly similar to what we have learned about their work in the US and Europe, they will be creating a database of highly sensitive information about a considerable share of a country’s population”. Although the legality of Cambridge Analytica’s work cannot be disputed, that cannot be said about the morality behind their field of work. This firm has long transcended the political advising industry. Data-collection at this level can not only change public opinion, but can also play a huge role in political campaigns, by targeting the most valorous, sought-after groups with data that is designed to change their perspectives completely, which in turn will lead to unexpected turnouts or even political “miracles”, as seen so often in the last couple of years. Alexander Nix has a right to defend his firm against the allegations that have been made by various publications or people. But at the end of the day, Cambridge Analytica still remains a firm that strikingly resembles a mercenary-for-hire group that, if paid well, will most likely save your campaign from certain doom. A firm that no longer sees the human factor in all of this – only raw data, ready to be exploited.